Evangelique "Eve" Tarmey, of Rochester, was found at the Riviera Motel in Rochester Oct. 17. Police say she died from "acute fentanyl intoxication." Fentanyl is often mistaken for heroin and is far more potent. Police say 41-year-old Mark Ross told them he thought he was giving the girl heroin. He delayed calling 911 for about 90 minutes after finding her dead to dispose of needles and other paraphernalia. 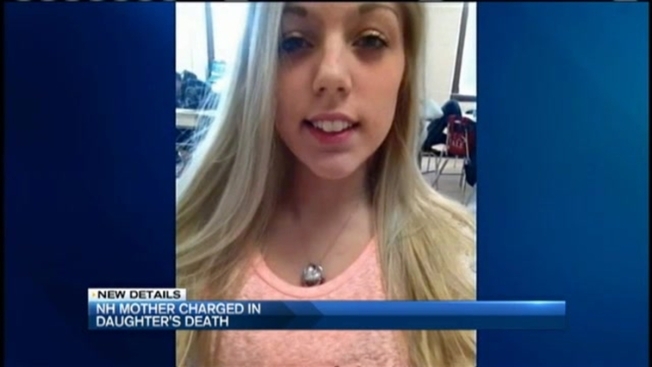 He is charged with giving the girl a drug that caused her death. Tarmey's mother, Jazzmyn Rood, 41, and Leslie Aberle, 31, are also charged in connection with the girl's death. Ross and Rood were arraigned in a New Hampshire courtroom on Friday morning. Ross was ordered held on $50,000 bail and Rood's bail was set at $10,000. Aberle appeared in a Massachusetts court, where she waived extradition and was ordered held without bail. Rochester Police Chief Michael Allen said the city has seen 98 overdoses this year, eight of them resulting in death. He said it's important in any death investigation to charge anyone who may have contributed to the death. "The fact that it is the mother of the victim makes it even more disturbing to me," Allen said.